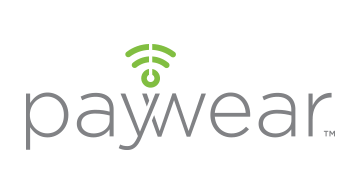 AmaTech Group is thrilled to introduce PayWear, new technology for fashion-first payment wearables at Money20/20 and wear2pay.com. AmaTech has developed the first RFID transponder that works with and in solid metal, opening the door to adding EMV contactless payment functionality to jewelry and other metal payment objects, making payment discreet, fashionable and always ready to use. Several PayWear-powered wearables will be on display during Money20/20: bracelets, cuffs, key fobs, rings and watches. PayWear-powered jewelry is faster and more convenient than other mobile payment technology with no phone or watch to wake, no app to open, no card and no signature or PIN. It never needs charging or a battery. PayWear technology is the result of AmaTech’s ongoing R&D in contactless payment technology. Powering EMV contactless payment in metal jewelry, payment objects, watches, and dual interface metal cards.